A good resume acts like a good advertisement, enticing the reader to learn more about you through personal contact. It should include only the facts and features - the selling points - that are relevant to the readers interests and needs. The primary purpose of a resume is to stimulate prospective employers' interest in meeting you, and in arranging a personal interview. Notice that "stimulating interest" is not the same as "telling everything" about yourself. In fact, the more detail you put into your resume, the more likely it is that a busy screener of candidates will notice an item that could exclude you from the hiring process. There are several types of resume readers: those who screen resumes as part of their professional duties, executives who screen resumes as part of the hiring process, and other friends and contacts who see your materials during the course of your job search. The first category includes search consultants and their staffs at executive search firms, employment agencies and their staffs, as well as internal employment managers and recruiters who work directly for hiring companies. 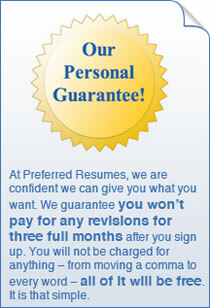 Resumes should be clear, succinct, direct, and presented in an attractive, easy-to-read format. Resumes should include a summary, so that screeners can quickly match the applicant with their needs. Resumes should provide complete employment histories without unexplained gaps. Resumes should be polished and interesting. People who handle many resumes are looking for clarity, brevity, and directness. They want to know right away the type of work you seek, and then they scan for a quick impression of your qualifications. In this way, they can quickly match you with their search assignments or openings. Typically, they will take only a few seconds to decide whether to read the whole resume. Even then they may take only a minute or two to read it through. They will be attracted to a polished resume that presents the information in an interesting way. But they will be put off by a resume that appears unconventional or designed to conceal facts, as well as irritated by a resume that is difficult to read. Bear in mind that the objective of resume screeners is to eliminate candidates. They're looking for an excuse to toss your resume. They will discard sloppy or dull resumes as well as those containing anything that appears negative or that diverges from what they are seeking. Conversely, they will tend to home in on experience that seems congruent with their current job placement needs. Another potential audience is the actual executive or decision maker who might be interested in you or who might interview you. Some decision makers like to glance through resumes themselves, if only to keep up with the current job seekers. These non-professional readers tend to be very susceptible to immediate first impressions. Your success with them may depend on whether they see some experience or personal trait that fits with their personal vision of the "ideal" employee. They may struggle with the decision of whether to call you on the phone, have someone down the line check you out, or write to you for further information. Most of them have never been trained to conduct interviews. They may not be skilled in questioning techniques, and they may need the resume in their hands to know what to discuss during the interview. Another category of readers includes the friends and personal contacts you are enlisting as your helpers and personal consultants in your job campaign. Even though these people know you personally, they probably don't remember your complete history, much less your job-related strengths and accomplishments. Therefore, your resume will help them to become familiar with your skills and to suggest other contacts that might be helpful in your search. Discourage your friends and contacts from handing out your resume too freely. You may lose control of who is getting them, as well as lose the chance to follow up with a phone call or interview in a timely manner. You may be sure that your resume will not please everyone. Nonetheless, it's worthwhile to solicit comments or feedback from various readers before finalizing your resume. "After trying to revise my resume five times myself, I decided to sign up with a professional resume writing co..."
"For months, I was struggling to find a new position. My firm was downsizing, and I had to act fast. I signed u..."